Recognizing words as a sequence of sounds is critical when learning to read. A child must possess the ability to distinguish the individual sounds that make up spoken words. Rhymes help a child notice word features; they assist in discovering common words patterns. For more rhyming books, please read about our Dr. Suess book reviews. Book review: My entire family enjoyed this book! My children loved the beat and I felt nostalgic while reading it. 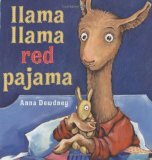 This is a great sing-a-long story filled with rhymes and clapping – can’t ask for much more in this type of book. Unfortunately, the book did not contain a lot of sight words, only 61%. However, what it lacked in sight word content, it made up through rhymes – another important concept for emergent readers. Our local library recommended the author, Mary Ann Hoberman, for children entering kindergarten and first grade. We will be adding more fabulous rhyming books, so please come back soon!